Radiohead: a genre-bending, convention-defying archetypal rock band. Just when you think they are done reinventing their sound, they release another album that proves everyone wrong. The band has traveled through many musical avenues over the years, from their earlier grunge and alt-rock beginnings, all the way through art rock, experimental music, electronica, and many others. Their blend of highly detailed sonic textures replete with song structures akin to mini-journeys made their albums stand out as something worth slowing down and going below the surface for. Despite their overtly artistic music, Radiohead achieved massive mainstream success and a worldwide following in the ’90s, cementing their place among the most interesting rock bands of all time. As of 2011, they have sold more than 30 million albums worldwide, and have released several additional albums that enjoyed further success. They have received numerous accolades including being ranked 73rd in Rolling Stone’s “The Greatest Artists of all Time” list, all three guitarists of the band making it on their “Greatest Guitarists” list, and numerous Grammy wins and a nomination for induction into the Rock & Roll Hall of Fame in 2017. 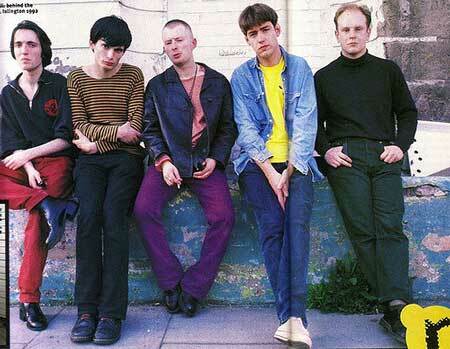 Radiohead began in Abingdon, England while the members were attending Abingdon School for boys. They could only rehearse in the school’s music room, and only on Fridays, so they originally called themselves On a Friday. The members had chosen their respective instruments as a way to make a full band between them, and would often swap instruments to experiment with different approaches and sounds. Their music teacher introduced them to more jazz, film scores, classical music, and avant-garde. 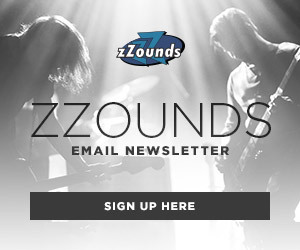 From there, they played nearby taverns and gained local fame until a chance interaction happened: their bassist Colin Greenwood had a run-in with EMI rep Keith Wozencroft at the record store where he worked. From there, they signed a six-album recording contract and changed the band’s name to Radiohead (from the Talking Heads song, “Radio Head”). Recording sessions for Radiohead’s debut album, Pablo Honey went incredibly quickly. Most of the material on the album consisted of songs the band had been playing live for years, with one of the members stating it was “our greatest hits as an unsigned band.” This album brought forth the hit “Creep,” but it came about it a strange way. Frontman Thom Yorke wrote the song sometime in the ’80s but the band never bothered to include the song in their live sets or the demo tapes they cut. It wasn’t until they played the song at an off-the-cuff recording session in 1992 that the managers and producers decided to make it the primary single for the album. It intitially didn’t do so well, and was even banned by BBC Radio 1 for being too depressing. The band was overshadowed by other grunge and rock bands of the era, but “Creep” soon grew legs overseas, drawing interest and radio play particularly in the U.S. Radiohead then set out on a range of tour dates across the U.S and Canada because of the popularity of their single, which would later reach the Top 10 in their homeland. Over the course of October 1992 through December 1993, the band had played around 350 shows worldwide. They decided to break from touring for a bit and work on some new material. They found little inspiration for their next album however, and decided to return to touring again, this time working material into their sets that would eventually make it on their next album. 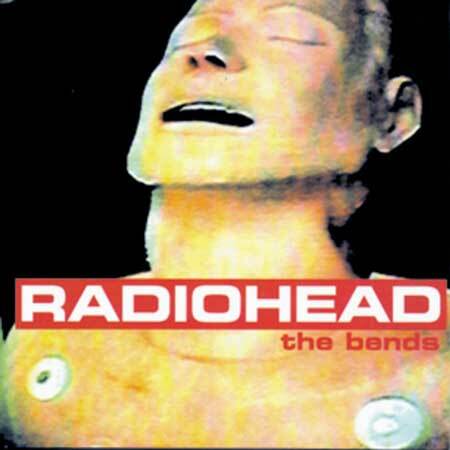 Once released, Radiohead’s second album, The Bends became another success overseas and helped further establish the band as anything but one-hit wonders. This time the album’s sales lagged in the US but enjoyed local success in the UK, eventually going triple platinum. 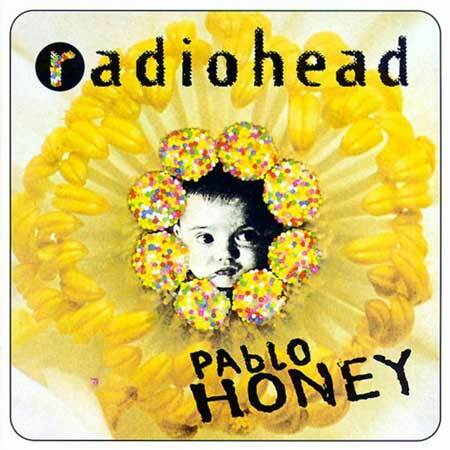 The album brought forth several hits, like “Just,” “Fake Plastic Trees,” “High and Dry,” “My Iron Lung,” and “Street Spirit (Fade Out),” which became Radiohead’s first single to reach the Top 5 on the UK Singles Chart. The band’s compositions were beginning to utilize more textured guitar parts, and Yorke’s lyrics were becoming more cryptic, a hallmark of future albums. The band continued to support the album throughout 1995, and was even chosen as the opener for R.E.M’s Monster tour. During this period they also hired artist Stanley Donwood, who would become their long-term designer responsible for all album and poster art from 1994 onwards. Donwood created the iconic album cover art for The Bends by using a cassette camera to film a CPR mannequin. There aren’t many things that scare me, but Radiohead are so good they scare me. The Bends ended up placing highly on several year-end lists, which encouraged EMI to ramp up marketing efforts in the US where the album didn’t sell as well. The move payed off – the album reemerged on the Billboard charts, peaking at 88 and earning a Gold certification. Later in 1996, Radiohead started their recordings for their next album at Canned Applause Studios in Oxfordshire but deemed it unfit for recording the songs. They had completed almost four songs that would make it onto OK Computer, but decided to take a break from recording to tour in the U.S. supporting Alanis Morrisette on her Jagged Little Pill tour. This was a good opportunity for the band to workshop new material they had been working on for the new album, and so they bled new tracks into their sets in increasing amounts throughout these tour dates. Once back from touring, they moved recording operations to St. Catherine’s Court, a manor house owned at the time by famous English actress Jane Seymour. The mansion was largely unused and allowed the band to take full advantage of the acoustic properties of different rooms and staircases found throughout. Once recorded, the string parts and final album mastering were completed at Abbey Road Studios. 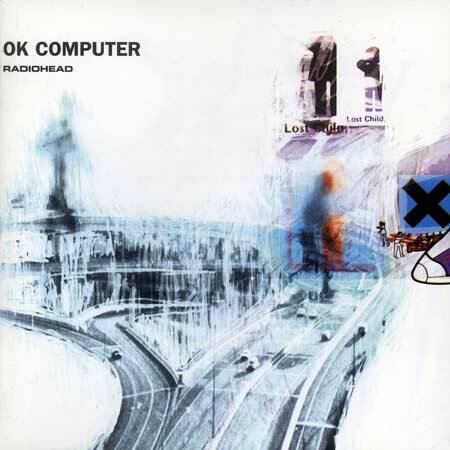 OK Computer is an absolute masterpiece both in its lyrical shift to more abstract themes, musical experimentation, and significant social impact for musical trends of the early 2000s. Despite its verified genius status today, OK Computer wasn’t immediately viewed in that light. According to their drummer Phil Selway, the band’s American label Capitol was not impressed with the direction of the album and lowered their sales forecast from 2 million units to only half a million. The label wanted more singles that would easily be marketed, and the eclectic songs and sounds heard on the album were not what they had expected. On top of this, they chose “Paranoid Android” to be their single, even though it was the longest running song with no hook. Even still, it rose quickly through the charts at ended up at number 3, the band’s highest charting single yet. OK Computer was recognized as an important album that challenged listeners and experimented with song format and textures not often found with popular bands. I consider OK Computer to be one of my essential albums and a highly influential work on my own writing. The way in which the music seamlessly weaves through complex harmonic passages and often odd-numbered phrases was very inspiring to me, and it opened the door for my own explorations of unorthodox pieces of music. Radiohead are a band that thrives on utilizing technology to push their own sound forward. A great example is the album Kid A, where samples and extensive use of synthesizers and keyboards were the dominant sound heard. 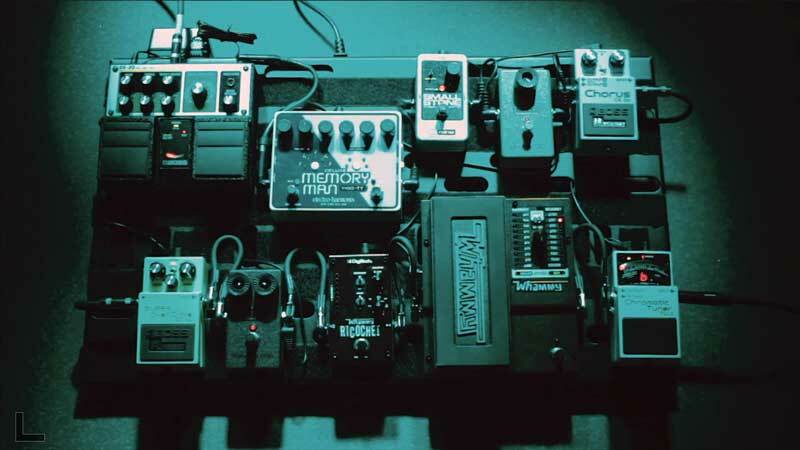 But besides synths, Radiohead most often rely on one major thing: guitars. Lots of them. Thom Yorke, Jonny Greenwood, and Ed O’Brien all share guitar responsibilities at any one time, often weaving complex textures and counter-melodies between the three of them. Our recording of “Paranoid Android” showcases this in action (acoustic guitar/two electric guitars with effects). On their first few albums Radiohead were simply a rock band, and their earlier setups reflected this. 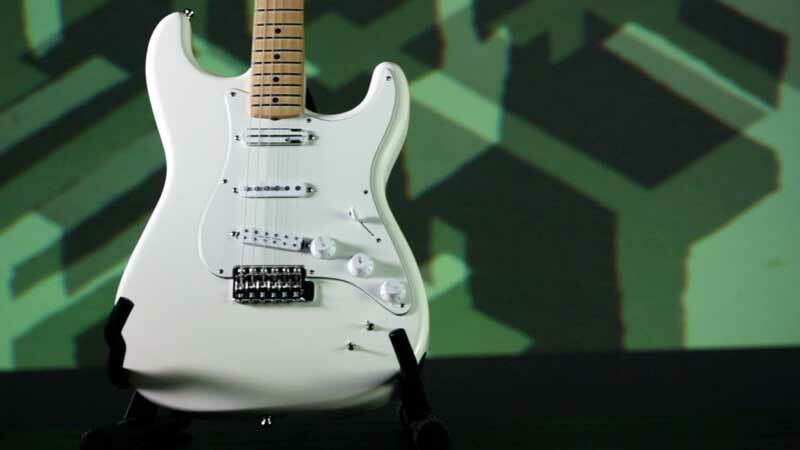 For the first album, Pablo Honey, Jonny Greenwood’s rig was simply a Telecaster Plus > Marshall Shredmaster > Fender Eighty-Five amp. Simple, but it’s all they needed. 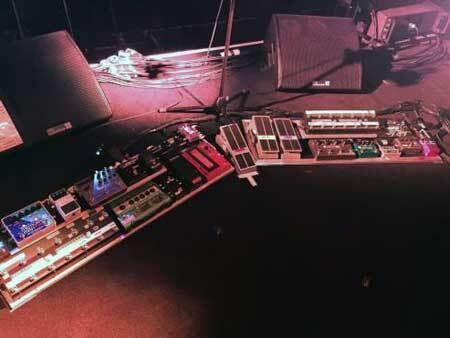 As the band progressed though, both O’Brien and Greenwood’s pedalboard’s dramatically increased to accommodate the influx of unique sounds. 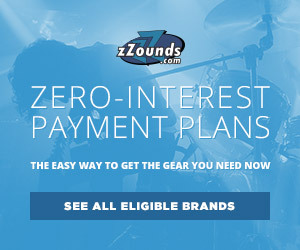 A complete run-down of the band’s gear throughout the years is an exhaustive and seemingly impossible feat (though www.thekingofgear.com nails it!). Generally though, despite the variety of gear, each member has their favorites they’ve used long-term. As mentioned before, Jonny’s favorite guitar is his Fender Telecaster Plus in sunburst finish. Ed O’Brien used many guitars (Fender Stratocasters, Gibson ES-335s, Rickenbackers etc.) but tended to always use two Mesa Boogie Dual Rectifier Trem-O-Verb amps with one running clean and the other heavily distorted. He chose to not use distortion pedals and relied on amp drive alone. Later a Fender Twin Reverb was added for more versatility of clean tones, but after it was stolen an AC30 was added to his rig instead. Because of the variety, O’Brien is able to route his pedals to the specific amps they pair best with. Greenwood had a different approach: he ran a solild-state Fender Eighty-Five amp set clean, with his Marshall Shredmaster providing all of the distortion. He then used a Boss LS-2 Line Selector pedal to switch to his Fender Twin Reverb amp for his cleans. It wasn’t until 1997 during OK Computer that he purchased a Vox AC30 for his clean tones instead and has continued to use this pairing as his primary rig. Thom Yorke, the band’s primary creative driving force, favors playing Fender Jazzmasters, Telecasters, Gibson SGs, and Epiphone Casino guitars. Often performing the acoustic guitar parts of their music, he played many different choices over the years, but a few examples are his Martin 00-18, Martin D35, and a Gibson Hummingbird acoustic. Yorke preferred to use Silverface Fender Twin Reverb amps for a time until 2001, when he switched over to using a Marshall Bluesbreaker combo, and then later to Vox AC30 amps, which are now his primary choice. This barely scratches the surface of the enormous variety of gear the band uses. 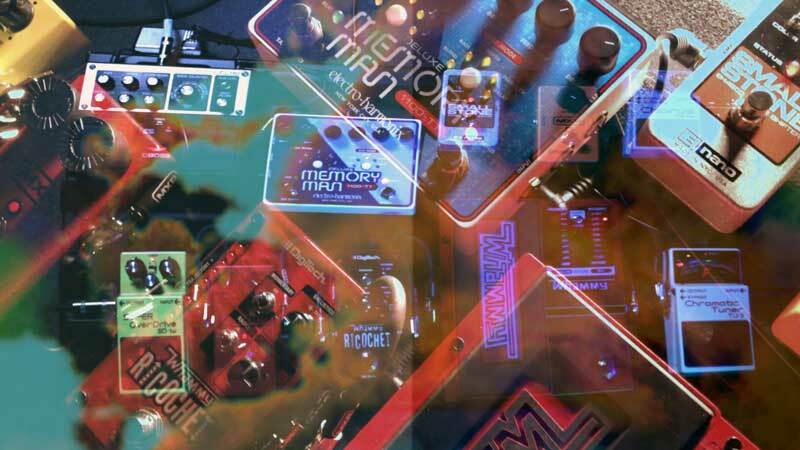 In the next section of the post, I detail a little bit more of the effect pedals they chose to use, and how we utilized them to replicate their music. Our video was based on the first few albums of Radiohead’s catalogue when their music was more heavily guitar-driven. While we could have chosen any number of classics off Kid A for instance, the band’s sound moved toward a more electronic and vocal-forward, synth-based sound that was less driven by the guitar itself. We felt the small sample of their music featured on our video gives a decent spread of the early years of the band, but trust me when I say that it pained me that I couldn’t develop more than just a few album’s songs, a mere fraction of the band’s scope. I chose the serenely soothing intro to the song “No Surprises” as our opener. It has a seemingly familiar quality to it, and sure enough, I later found out the band was inspired by the Beach Boys’ classic hit “Wouldn’t It Be Nice”. While recording the song I repeatedly became curious about the tuning of the song, as it appeared to be a decent bit flat compared to standard A440. Sure enough, I later found out Radiohead recorded the song at a faster tempo and then slowed the recording down, hence the detuning of the pitch. Thom Yorke later overdubbed vocals over the slower song, creating a dreamy atmospheric effect. This was accomplished with the Fender Ed O’Brien Stratocaster guitar played clean on the neck pickup. You can hear the subtle jangling of our Martin D-28 acoustic guitar nestled most comfortably behind the electric tracks. We mic’d up the Martin (and our guitar amps) with a Cascade Knuckle Head ribbon microphone, which delivers a similar smooth sonic signature as Cascade’s more well-known Fat Head mic. “My Iron Lung” had a famous intro riff that was just a Whammy pedal set to the octave-up setting, so it was pretty easy to achieve that sound. 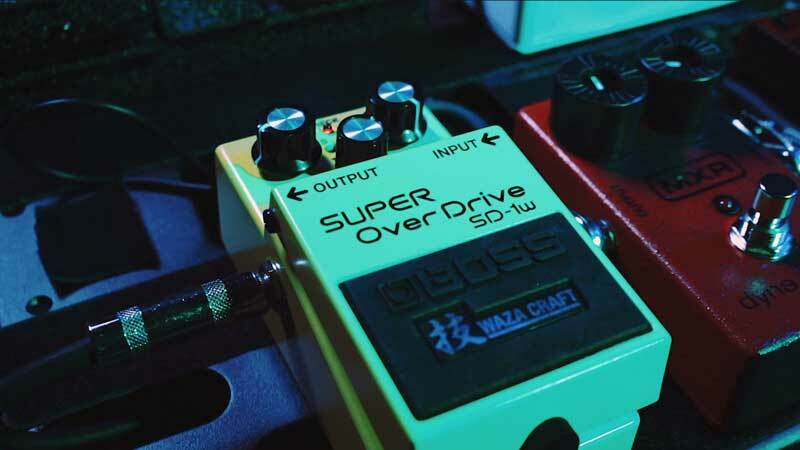 For the grungy chorus section, we again used the Boss SD-1W pedal and set the controls a bit darker and woofy, almost like a Big Muff pedal would sound, with the Level control boosted to hit the front end of our amp harder. “Subterranean Homesick Alien,” a reference to Bob Dylan’s “Subterranean Homesick Blues,” is a masterpiece of textural guitar effects and keyboard. We used a Rhodes style electric piano sound for the bed of the tune, and layered guitar on top. For the background guitar chords, we used a clean tone and a Space Echo pedal. 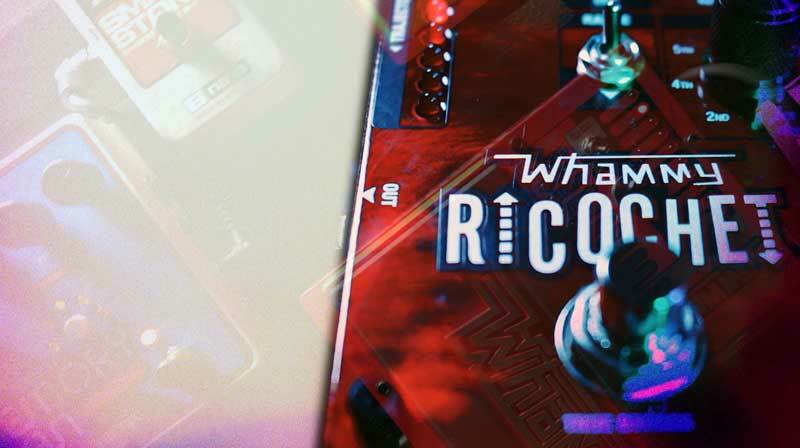 For the main guitar, we achieved the sound by using a DigiTech Whammy with the octave up setting, the Ricochet pedal to control the sweep, an EHX Small Stone phaser pedal, and the Memory Man delay. For “Paranoid Android,” we used the Martin D-28 acoustic for the intro and layered the background electric guitar with the Small Stone pedal. 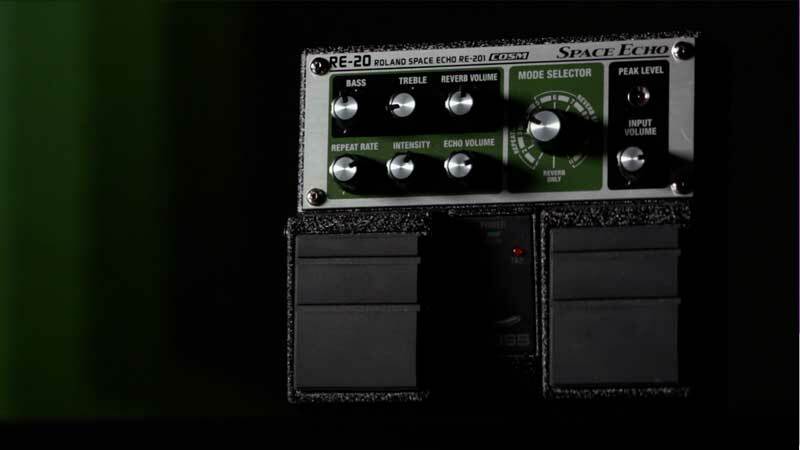 The main electric part, played by O’Brien, was accomplished by using the octave up Whammy setting, fed into the EHX Memory Man with just the reverb portion of the Space Echo pedal. All distortion tracks, including the famous Jonny Greenwood solo, were done with the AC30 set to a mid-boost, and the SD-1 pedal. “Karma Police” was a breeze, as our Martin D-28 provided most of the track’s music. We only needed a piano during the chorus section to finish off the song. The last delay potion of the song was recorded with the EOB Strat and the Memory Man pedal – I looped the 2-note motif and we allowed the delay loop to start self-oscillating into distortion. All we needed to do was bring the Delay knob up to slow down the delay speed and morph the pitch gradually down. This entry of our Legends of Tone series is extensive, yet still only manages to cover the first few albums of this band’s striking catalog. We felt it paid tribute to the early guitar-focused era of the band in a way that highlights the sheer versatility and forward-thinking creativity the band displayed. Their music shaped the sound of the ’90s, and then the entire 2000s when their electronica-focused albums took hold. Last years A Moon Shaped Pool allowed Jonny Greenwood’s mastery of large-scale string orchestrations to shine, proving they still haven’t exhausted their options for breaking new creative ground. What will Radiohead do next?